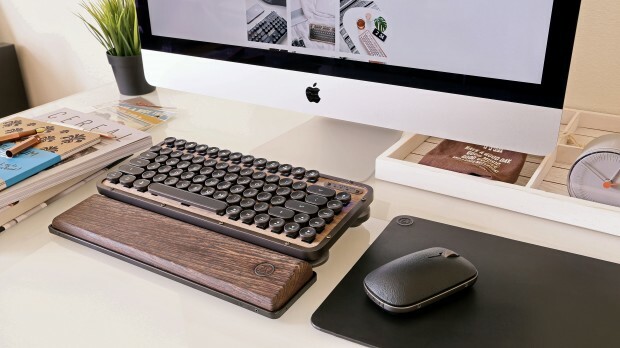 Industrial Vintage Inspired Mechanical Keyboards. A timeless design that blurs the line between modern and retro, form and function. Designed for a premium computing experience. The contemporary home and office consists of many premium decors and collectibles. There is, however, something missing to tie it all together. Azio has set out to fill this void, aiming at designing a centerpiece keyboard with properties comprising of high-quality material, timeless appearance and intuitive usability. The Retro Classic keyboard is characterized by a solid construction, with the frame forged from a solid piece aluminum alloy to give it robustness and durability. 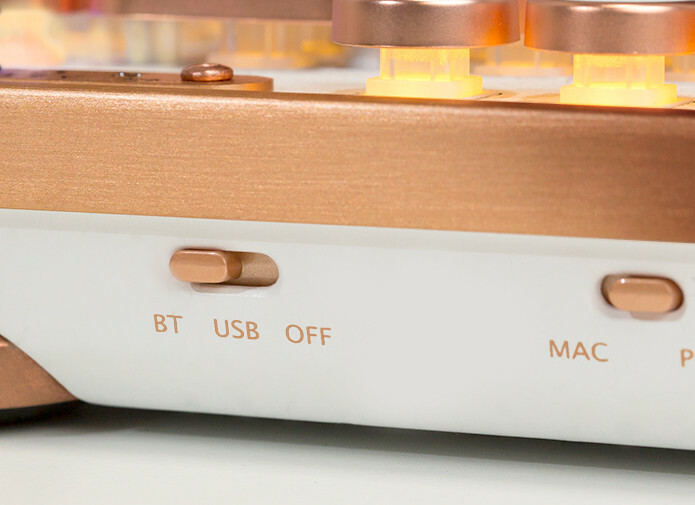 The RCK features “Blue” mechanical key switches, giving each key a tactile feel and a subtle click, reminiscent of vintage typewriters. 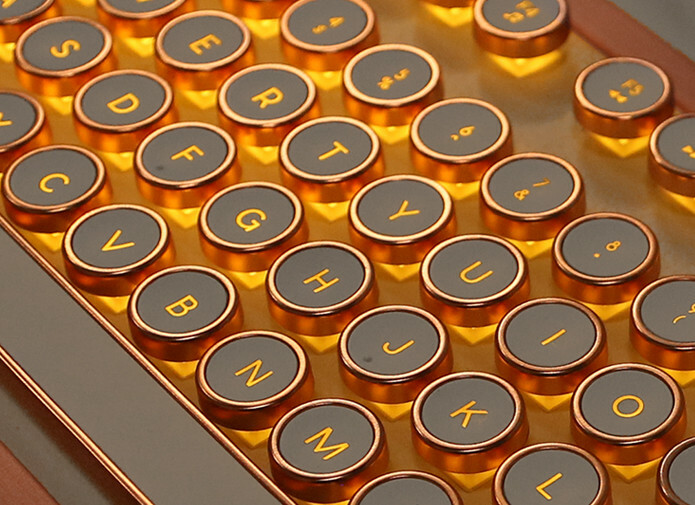 Each key incorporates a centered backlight LED, illuminating the keyboard evenly and beautifully.